What are the advantages of buying Certified? The elegant allure of a Chrysler, the muscular power of a Dodge, the go-with-the-flow Jeep, or a tough-as-nails Ram truck? The decision is yours when you shop at Rockwall CDJR, your one-stop shop for a wide range of FIAT Chrysler brands. Whether you’re looking for new, used, or certified pre-owned cars, competitive car finance opportunities, or quality auto parts and auto repair, we’d like to show you just how we can serve drivers like you across Lavon, Fate, and Heath! When you’re ready to start shopping for a new Chrysler, Dodge, Jeep, or Ram—or a reliable used car from an even wider range of brands—you’ll find exactly what you need right here at our car dealership. When you step into our showroom, you’ll find cars to suit every possible automotive need and purpose. For your next big project, a truck like the Ram 1500 or 2500 may be just what you’re after. The Chrysler Pacifica lends a refined ride for the whole family, and no one can argue with the bold, aggressive presence of the Dodge Charger. When you’re ready to head off-road, the Jeep Wrangler might be the best ride for the job. For many drivers, car financing or leasing their next car makes the most sense. If you’re looking for a car loan or lease plan, our car finance center is the place to go. Our strong relationships with banks and credit unions across Rockwall County mean we have a wide network to pull from when finding a car loan that fits your needs. When your car needs some professional care, our auto repair center is here to help. With a Mopar® Express Lane for quick-service oil changes, brake inspections, wiper blade replacements, and more, you’ll be spending less time in the shop and more time out on the open roads. 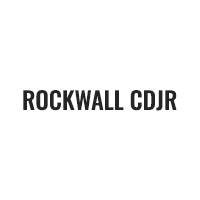 When you visit us at Rockwall CDJR, you can expect great cars, services, and products. Most of all, we strive to provide excellent attention to your needs and concerns, so we can fit you with the most perfect version of whatever you’re looking for. So, when you’re ready to take on the roads of Lavon, Fate, and Heath from behind the wheel of your next new (or new-to-you) car, give us a call or visit our showroom. We look forward to working with you!